Roof trusses operate as the foundation support of most any type of roof. 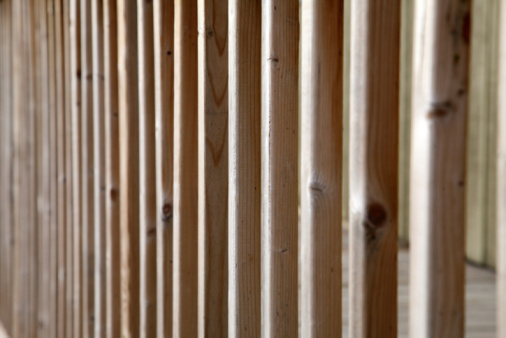 Usually made of wood or steel, you'll find both in residential and commercial applications. Roof trusses have many advantages compared to regular roof rafters. Trusses cut down on construction time and meet many roof load requirements. The first step toward purchasing and installing roof trusses is measuring to calculate how many trusses will be needed. With the proper tools and technques, this task can be accomplished in no time. 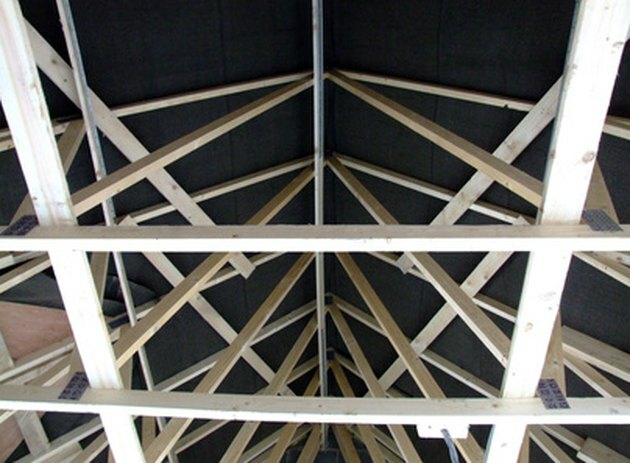 Roof trusses can be made of wood or steel. Set two ladders at each end of the area to be measured. Pull a tape measure along the top plate of the house to determine the length of the roof while the assistant holds the other end. Write down the measurement in feet. Repeat the procedure on the width of the top plate to determine the width of the roof trusses. For this example, the width of the house is 20 feet at the top plate and 30 feet long. Divide the length of the roof by two to determine how many trusses are needed. Trusses are generally secured 24 inches on center along the top plate. For a 30-foot long roof, a total of 15 trusses are needed. Determine the height of the roof trusses using an online roof truss calculator. Enter in the width of the house where the trusses will be installed, the height of the house and what the pitch of the roof will be. For a roof with a width of 20 feet, a wall height of 10 feet and a pitch of 7:12, the truss height will be 190 inches or 15 feet 10 inches from the ground floor to the topmost peak, or 5-feet, 10-inches from the bottom cord of the truss to the truss peak. To obtain the actual height of the truss, deduct the height of the wall from the total number calculated on the roof truss calculator (see Resources).